An essential personal grooming accessory these days? .. The best stubble trimmer, for men who want to keep a short beard like the 5 o’clock shadow. Stubble trimmers are usually designed with a low cutting length setting. This makes them suitable for men who want to keep facial hair short without shaving everything off. What’s more, an electric stubble trimmer is not only easier to use than the traditional fine toothed comb and scissors, it also trims within minutes and this saves you a lot of time – which is key nowadays. Whether you want to keep a short shadow look or longer stubble, the Super Stubble (also known as the i-Stubble) from Babyliss for men is the ultimate trimmer. It allows you to maintain the level of facial hair you want. With this stubble trimming appliance, you can choose from 24 ultra-precise length settings. The shortest length starts with a 0.4 mm shadow. The motorized length control that powers this trimmer lets you to set low increments from 0.4 mm to 2 mm. The Super Stubble has been designed with a floating contouring head that tracks the curves on your face. This feature along with the ergonomic design and curved body all work together to ensure exceptional comfort, great control, and an even all round trim. The blades used in this device have been electro-chemically sharpened using advanced technology to boost sharpness and durability. Men who love to groom their beards in the shower will be glad to know that the Super Stubble is 100% waterproof. Apart from delivering excellent control, the protective comb guide can also be removed, and this makes it easy to clean. Since this trimmer runs on a rechargeable battery, you don’t have to be near a wall socket when shaving. It comes with an LED screen that displays the selected cutting length setting and remaining charge time. Thanks to the rapid charging system, 5 minutes of charging is enough for a quick stubble shave whereas 90 minutes of charge offers up to one hour of use. The trimmer comes with a 3-pin plug adaptor for charging. Full Super Stubble Review here. Philips is known for manufacturing all kinds of cutting edge electronic appliances. The quality of their grooming tools for men is hard to beat, and the QT4015/23 Stubble Trimmer does not disappoint. This stubble trimmer is simply perfect for men who will never allow anyone to get close to their beards with a scissor or shaver. It offers great precision with length settings starting from 0.5 mm to 10 mm, making it possible to style your beard just the way you like it. Offering 20 length settings that can be controlled at the turn of a wheel, the Philips QT4015/23 trimmer allows you to style your stubble or beard to the length that you prefer. This trimmer features an ergonomic design, which makes it very easy to hold when trying to trim those harder to reach patches of hair. Designed from super sharp titanium, the blades have been designed to provide long term dependable use. The technology used for casting these blades ensures superior cutting performance and long lasting sharpness. Itchiness can be the biggest deterrent when trying to keep a short, closely shaven stubble. The good news is that the Philips QT4015/23 stubble shaver offers skin-friendly high performance. Not only do the extra sharp blades cut hair effectively with every stroke, they also feature rounded tips and combs to prevent skin irritation. Users can enjoy the convenience of shaving far from a wall socket thanks to the rechargeable battery that comes with this trimmer. The battery light blinks with different colors when on low power, charging, or full. Sixty minutes of charge can provide up to 1 hour of cordless power. When it comes to maintenance, this Philips beard trimmer offers great ease of use. To keep the trimming head clean, simply detach it and rinse it under running tap water. For men who like to carry their grooming appliances on the go, this trimmer will make the ideal choice. It comes with a travel and storage pouch that provides protection when traveling. Sometimes hair gets stuck between the guard and trimmer. When that happens, simply dismantle the easily detachable head to clean out the hairs. This beard trimmer offers more in terms of features than the Philips QT4015/23 Stubble Trimmer, except for its fewer trimming length settings. Each package includes the trimmer, beard comb, cleaning brush, charging adaptor with cord, and a user manual. By choosing to purchase the Philips Style Xpert BT5260/33 Precision Beard Trimmer, here is what you can expect to get. With the Philips Style Xpert, you can achieve your desired trim easily. The fully adjustable trim length starts with a 0.2 mm setting, perfect for a super close stubble shave. There are several trim length increments to choose from, with the maximum setting offering a 10 mm trim. To choose your preferred length setting, simply turn the zoom wheel on the handle and watch the length display. After adjusting to your desired setting, the wheel locks in the chosen length to ensure an even trim. 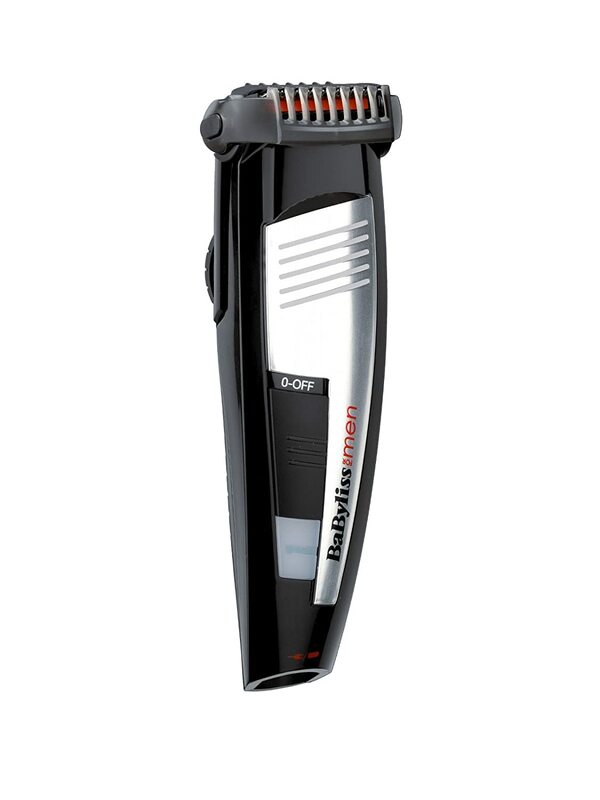 You can enjoy precision styling when using this trimmer since it comes with a dual-sided trim head. The larger side of the trimmer is 32 mm wide. Flip it over, and you will find the 15 mm trim head, perfect for reaching into small spaces. The smaller trim head cuts close without nicking the skin. 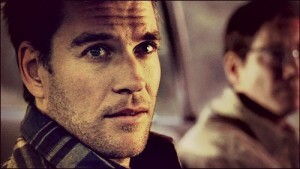 It’s also good at cutting fine lines or outlining the edges of your beard. If you frequently trim your beard in the shower, there is no need to worry about water damage because this trimmer is 100% water resistant. 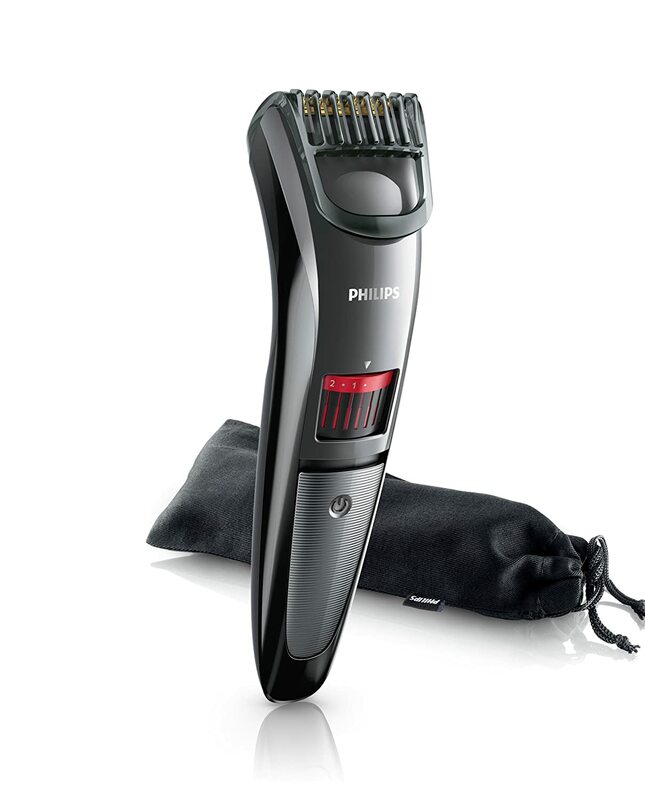 For men who want a simple to use trimmer, this Philips model offers exceptional ease of use. Its rechargeable battery allows for cordless shaving, and can provide enough charge to power the trimmer for one hour of continuous use. Alternatively, you can opt to plug in the trimmer to a socket during use. To prevent itchiness, the electronic experts at Philips have designed the steel blades in this trimmer with rounded tips and combs. Because the blades slightly brush against each other when oscillating, this helps to keep them sharp all the time. The only disadvantage of using this trimmer is that sometimes the plastic hood covering the blades tends to retain hair. On the plus side, the trimmer dismantles easily, thus making cleaning less of a hassle. The i-Trim stubble is yet another excellent grooming appliance from Babyliss for men. This trimmer is designed to provide you with everyday stubble control. From trimming short shadows to full beards, the i-Trim stubble is the ultimate all in one shaving appliance. There are over two dozen different cutting lengths from which to choose, allowing you to maintain your preferred facial hair length or experiment with different looks. If you choose to make this model your stubble trimmer of choice, here is what you will get. Complete package comes with one trimmer, a 1.8 mm cord/charging adaptor, cleaning brush and the instruction booklet. The comb guide offers a staggering 30 adjustable cutting lengths. With increments of 0.5 mm, you can adjust the precise dial control to a maximum trim setting of 15 mm. These options are perfect for grooming stubbles of any lengthy or a short trimmed full beard. Enjoy effortless maintenance with this trimmer courtesy of its self-lubricating components. The trim head is completely washable, which allows you to remove wedged hairs under running water. 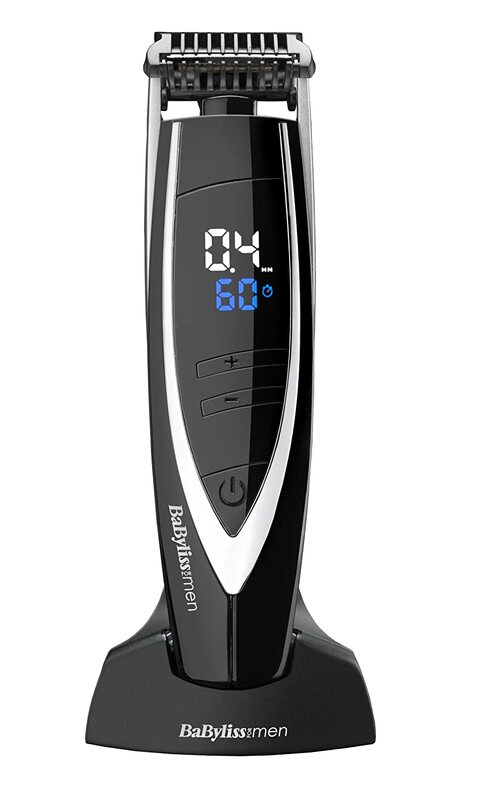 Just like other Babyliss for men trimmers, this model features electrochemically sharpened blades. With this technology, users get to use durable and extremely sharp blades that deliver a clean, smooth and precise cut. Designed for both corded and cordless functionality, the i-Trim Stubble offers much flexibility when it comes to choice of use. Select between corded and cordless functionality. The Long cord allows you to move as far as 1.8 m from a wall socket. 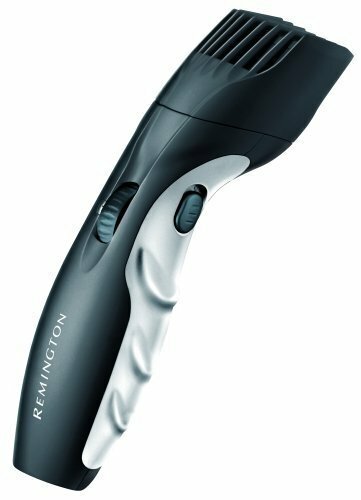 Check out our full Remington MB320C Trimmer Review here. If you are looking for an easy to use and long-lasting beard trimmer, then do consider the Reminton MB320C Barba which has been designed to offer all that and so much more. Apart from the trimmer, every package features one cleaning brush, the charging adaptor, and an instruction booklet. Here are the features to expect after purchasing this beard trimmer. The Reminton trimmer offers a total of nine pre-set length settings. It is the perfect choice for longer stubble trims since the lowest length setting starts at 1.5 mm. The maximum cutting length is 18 mm, ideal for maintaining a bushy beard. For detail trimming of the beard line, you can use the pop up trimmer. This stubble and beard trimmer features several functions that enhance its ease of use. When adjusting the cutting length with the thumb wheel, the Easy View window displays the currently selected setting. In addition, the rubber body features grooves that improve grip when shaving. Your Reminton trimmer requires very little maintenance since it has Lube for Life blades. However, you still have to perform regular cleaning for it to deliver excellent performance. Make sure to brush the trimmer to keep it free of hair and replace comb guards when required. This trimmer offers up to 40 minutes of use when running on batteries, which allows you to shave without plugging in the adaptor. The power indicator lights signal you when the battery is low. For the blade construction, the experts at Reminton used a ceramic and silica coating to increase resilience and hardness. As such, this trimmer is designed to last. The stubble trimmers mentioned above are just a fraction of what you can find when shopping around. That said though, these models offer some of the best features, performances, and are each very durable. The chosen brands are known for their excellent reputation and high quality standards of their stubble and trimming appliances. Keep in mind that warranties and other aspects vary across the board with all the different trimmers that have been listed. The best stubble trimmer in this list will ultimately depend on your grooming needs and budget. In order to get the best deal, make sure you compare the features and prices that come with each option before making a purchase.